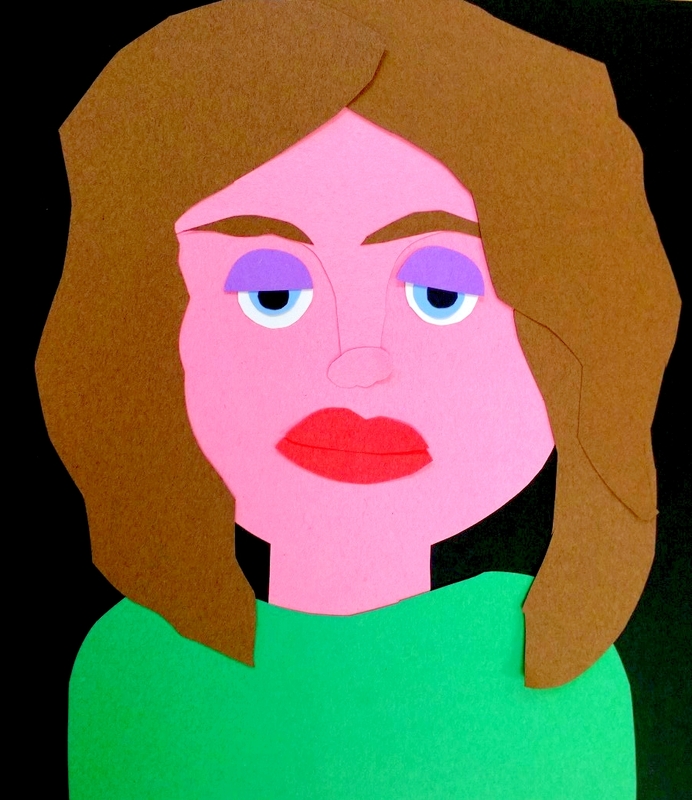 Kids can make this construction paper portrait using pieces of scrap paper. 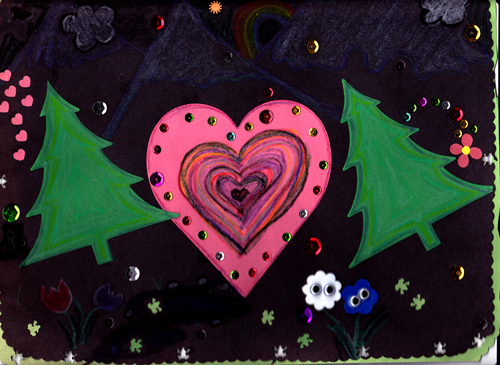 Cut out the an oval for the face and a rectangle for the neck and glue onto the background (I used black paper because I like the contrast). Cut pieces of paper for hair and layer over each other to create a hair-like texture.